EAST LANSING, Michigan—When Dr. Suess wrote his iconic children’s book “The Lorax” in 1971, he took a swipe at the Great Lakes. If the line doesn’t ring a bell, don’t worry: It was removed after Ohio Sea Grant employees wrote the author to fill him in on the major strides in improving the lake’s health. Lake Erie and its four great cousins have benefited mightily from cleanup and research in the 45 years since Dr. Suess penned what became his personal favorite. 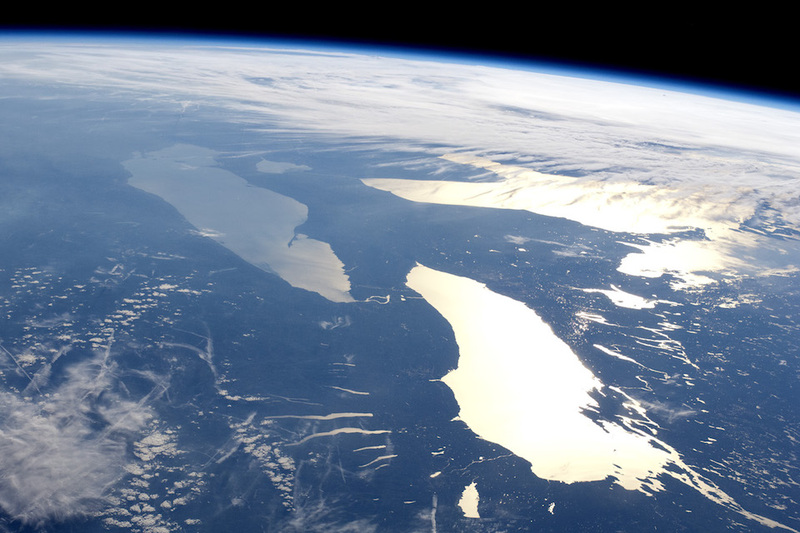 However, from plummeting prey fish populations to poopy Michigan rivers, grave threats to the region’s ecosystems remain, scientists and officials said at the annual Michigan Water Heritage conference held at Michigan State University this month. Jon Allan, director of the Office of the Great Lakes, made note of the progress since the 1970s. For years we had “our backs to water, communities backed up to waterfront, we dumped our garbage there. How many of you remember those days?” he asked. In the audience most of the roughly 150 water quality researchers, fisheries biologists, agency scientists, nonprofit employees and others raised a hand. It’s true industrial waste largely stopped flowing into waters, but other problems percolated: invasive species, farm runoff, sewage overflows and failing septic systems. 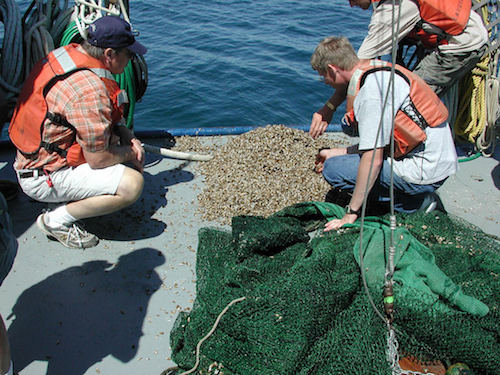 Quagga mussels are screwing up food chains in Lake Michigan, rivers are bearing the brunt of unregulated farm waste, and Lake Erie, once declared dead in the late 1960s, is once again suffering from large nutrient-driven dead zones. Craig Stow, a researcher at the National Oceanic and Atmospheric Administration‘s Great Lakes Environmental Research Laboratory, has spent more than two decades studying the Great Lakes. We’ve “slipped back” a bit recently, he said, saying that Lake Erie algae blooms have been on the rise in recent years. Last summer the largest bloom on record, about 300 square miles, tainted western Lake Erie. Phosphorous runoff, mostly from farming, especially in Ohio’s Maumee River valley, feeds such blooms in the warm and shallow waters of the western part of the lake. Such blooms can produce harmful toxins and hurt humans and ecosystems. Stopping them will only become more difficult as the climate changes: long-term precipitation trends show bigger, fiercer downpours since the late 1990s; in conjunction, Maumee River discharge has increased. “We’re seeing some really important change in dynamics driving algal blooms in Lake Erie,” Stow said. Officials are starting to pay attention. Just last month the U.S. and Canada adopted new targets to reduce phosphorous entering Lake Erie by 40 percent. Ohio governor and presidential hopeful John Kasich, beleaguered Michigan Gov. Rick Snyder and Ontario Premier Kathleen Wynne spearheaded the effort. Stow said such efforts are crucial to prevent taking giant steps backward. There is some good news. Western Lake Erie is the only section in all five Great Lakes where prey fish populations—the ones feeding popular predator fish such as salmon and trout feed—haven’t trended downward since 1980, said David Bunnell, a fish biologist with the U.S. Geological Survey. That can’t be said for Lake Michigan. Last year Bunnell and colleagues reported the lowest catch rate ever for all fish groups—commercially harvested fish, sport harvested fish and prey fish—in Lake Michigan. Salmon populations, too, were down 75 percent from their 2012 peak. This is worrisome for anyone who remembers the salmon crash in Lake Huron about a decade ago due to vanishing alewife, a staple of the predator’s diet. Salmon still haven’t recovered there. Nascent research suggests a bottom-up problem in the lakes, Bunnell said: Declining nutrients, due largely to invasive, filter-feeding quagga mussels, break the food chain for creatures like zooplankton, which sustain alewife and other prey fish. “Salmon need to eat more alewife to get the same amount of calories.”-David Bunnell, USGSA study last year found about 80 percent of larval alewife in Lake Michigan had empty stomachs. And their energy density—how much of a caloric punch they pack—has declined about 33 percent over the past decade. A crash in salmon stocks could have a considerable impact on the shore and throughout the region: Salmon are a hugely popular sport fish and bring a lot of dollars to the state. Then there’s the poop problem. “I’m glad my talk was after lunch,” quipped Molly Rippke, an aquatic biologist with the Michigan Department of Environmental Quality. Much of Tuesday’s session focused on the Great Lakes. Rippke reminded attendees “all rivers lead to the beach.” And many of those rivers bring poop with them. Rippke estimated that 50 percent of Michigan rivers exceed acceptable levels of E. coli, a harmful bacteria indicating contamination from feces: Failing septic systems, farm runoff, congregating wildlife and combined sewer overflows. Rippke and colleagues are trying to tease out causes to better stop the contamination. One thing was clear in their study of rivers: as agriculture increases, E. coli tends to increase, she said. They also found that the more forested land in a watershed, the lower the harmful bacteria levels. But there is a glaring need for more science—they only sampled 11 percent of rivers in Michigan, a state with 120 major rivers covering 36,350 square miles. While the conference focused on watersheds, with the city of Flint just an hour away, the issue of safe drinking water loomed large. About 70 percent of people in Michigan are on a public water supply, Allan said. “How many of you think that infrastructure is as good as it can be?” he asked the crowd made of mostly of water quality researchers and professionals. Not a hand went up in the packed auditorium. This story was first published by Environmental Health News; view the original story. For questions or feedback about this piece, contact Brian Bienkowski at bbienkowski@ehn.org.